At present, the valve has become more and more important in modern industry, and the vast majority of the industrial production process is inseparable from a variety of valves. In production, the sanitary diaphragm valve is mainly used to control water, gas, oil and other media, which is applicable to different industries such as petroleum, metallurgy, medicine, brewing, beverage and dairy products. 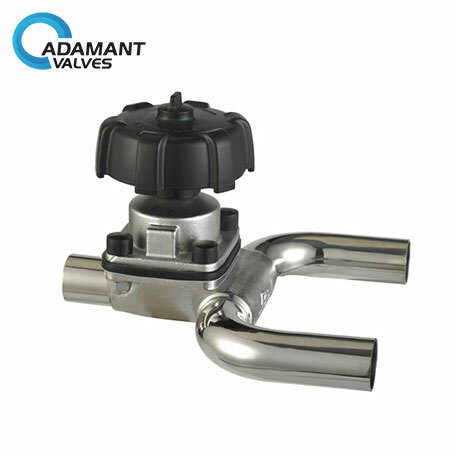 The sanitary diaphragm valve is a flexible diaphragm or composite diaphragm in the body and bonnet, and the closing member is a compression device connected to the diaphragm. Its seat can be weir or straight through the pipe wall. The advantage of the sanitary diaphragm valve is that its control mechanism is separated from the medium path, which not only ensures the purity of the working medium but also prevents the possibility of the medium in the pipeline hitting the working part of the control mechanism. In addition, there is no need for any form of separate sealing at the stem unless used as a safety device in controlling hazardous media. In the diaphragm valve, the working medium only comes into contact with the diaphragm and the body, both of which can be made of a variety of different materials, so the valve is ideal for controlling a variety of working media, especially those with chemically aggressive or suspended particles. The working temperature of the sanitary diaphragm valve is usually limited by the diaphragm and body lining material used, its working temperature range is about - 50 ~ 175 ℃. The diaphragm valve can be controlled freely in different media. Water, liquid, gas, all kinds of stamp products can be used to cut off and connect, and there will be no leakage. The actuator for the diaphragm valve is simple and can be operated remotely or manually, and different media can be controlled by pressing the rubber film directly onto the seat using the stem. Moreover, it has many connection modes and is very flexible in operation, which includes quick release flange connection, welding connection, and movable flange connection. The actuator of the diaphragm valve consists of three types, one is air type, one is normally closed and the other is normally open. All three of the standard valves are aesthetically pleasing and simple in construction. Sanitary diaphragm valves are used in many industries to control fluid, solid, gas and other media, and their control function is to make cutoff and connection flexibly. It is applicable to water heating, food, medicine, and other industries, as well as petroleum and metallurgy, and other highly corrosive industries. 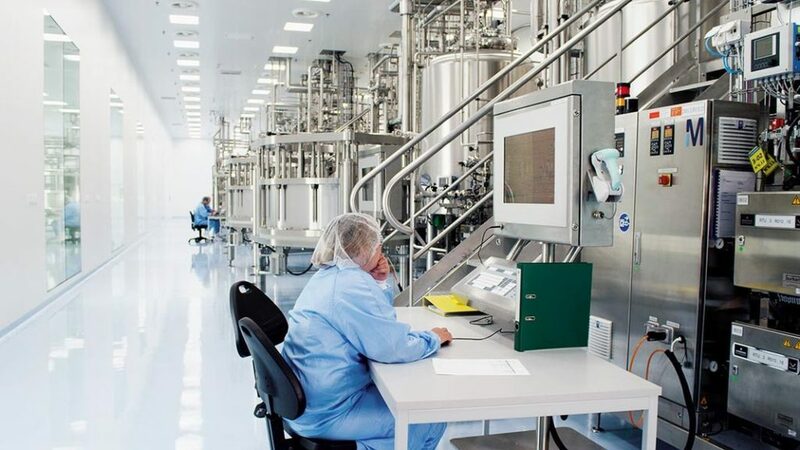 The biopharmaceutical industry relies on sanitary diaphragm valves for its demanding process applications due to a unique need for cleaning and drainage, and pressure with temperature capabilities. Over the past 40 years, the basic design of these valves has remained the same: body, diaphragm, top works and four fasteners. Proper installation and maintenance of these valves require experienced personnel and rigorous service practices to ensure consistent and reliable valve performance. Sanitary diaphragm valve act both as a gasket and dynamic seal. They are often exposed to harsh chemicals, high temperatures, and high pressures, resulting in significant wear and increased need for routine maintenance. Proper valve maintenance requires several steps on the part of the maintenance team to ensure that the valve will operate at its full potential. One of the most important elements of maintenance is a good fitting when replacing the diaphragm. Failure to assemble the valve properly may result in batch contamination, poor valve performance, and a short life cycle. Proper installation of the diaphragm according to the manufacturer's instructions is essential. If the installation is incorrect, excessive force during operation may damage the diaphragm. The fluids can then pass through the closed valve or, in the worst case, cause a catastrophic failure that results in fluid contamination and leakage. Tightening and retightening are also important steps in the assembly process that can often lead to seal failure, either by making the seal too tight or too loose for proper performance. Another aspect of valve maintenance is knowing when a replacement diaphragm is needed. To ensure that the valves do not fail, some companies regularly change the diaphragm (eg every six months), whether necessary or not. Facilities that use diaphragms with shorter life expectancy, such as rubber diaphragms, may be more likely to require more regular changes. However, constant replacement of diaphragms without any sign of failure can cost factories unnecessary time and money. Knowing the signs of valve failure is also essential to maintaining the valves of an installation. Physical signs that a valve or diaphragm needs to be replaced are excessive wear, corrosion, or fluid leakage. A sanitary diaphragm valve is considered a highly hygienic valve due to its mode of operation. This technique is called "input from above." The upper inlet facilitates the welding and the extraction of the clamps during the maintenance of the valve. Sanitary diaphragm valves are the preferred choice of valves used in the pharmaceutical industry. This is due to its well-known characteristic of being very clean. They are ideal for applications where strangulation, unobstructed flow, and positive shutdown are required for sensitive and ultrapure media. These means are found in the pharmaceutical industries. Sanitary diaphragm valves are the only truly hygienic flow valves for applications in the pharmaceutical industry. The rest of the appropriate valves have 90-degree settings. The sanitary diaphragm valve works by isolating the treatment medium from its surroundings and from all the moving parts of the valve. In this way, it successfully protects the contamination from media, thus guaranteeing the continuous operation of the valve without interruption. Sanitary diaphragm valves have the following advantageous qualities: vapor resistance, high durability, flexibility for maintenance, as well as being quite clean and hygienic. They also have some other features. The sanitary diaphragm valve can be electronically polished to achieve a beautiful and better surface finish. When mounted in line with a two-degree tilt angle, the valve is automatically vented. The body of the sanitary diaphragm valve has no trapping zones. They have their body mainly of forged 316L stainless steel. The main difference between the molding materials and the forged pieces is that the molded materials are more porous than the forged materials. Since the valves are made of forged materials, the porosity of the materials allows the valves to be polished to finishes up to 10 Ra. As "top-entry" valves, sanitary diaphragm valves can be welded to the desired location and their seals can be easily removed from the system. In fact, the diaphragms and covers of these diaphragm valves can be worked during maintenance without having to remove the valve body from the treatment lines. The sanitary diaphragm valve body has a unique design called a unique weir design. This simple but important design allows the valves to be configured and configured in addition to a single block valve. Individual blocks can be customized for specific or specific applications. Prev: What You Should Know About Sanitary Fittings Next: What Are the Applications of Sanitary Shut-off Valve?